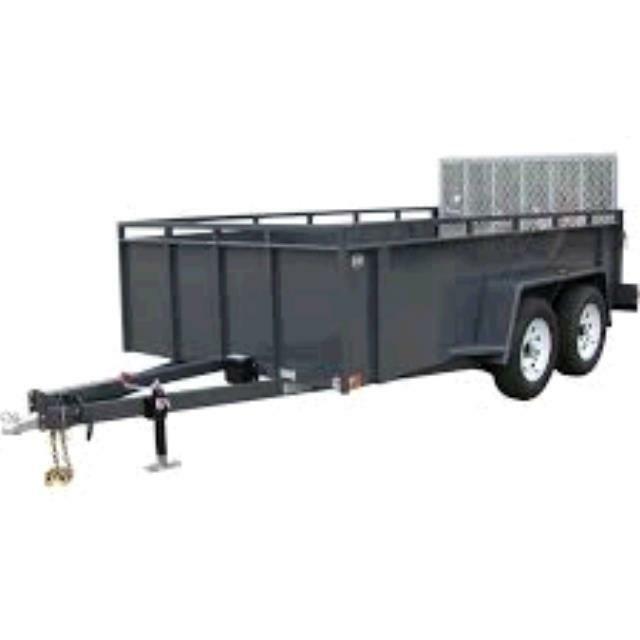 5' wide x 12' long, double-axle utility trailer. 58" inside width x 12' inside length. Full width tailgate folds down to form a ramp for easy loading. Equipped with hydraulic surge brakes for safe braking.